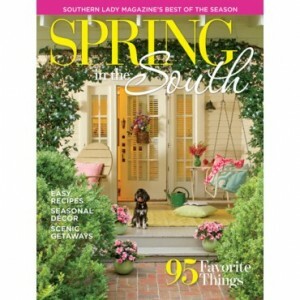 Bring a bit of seasonal splendor to your home with this lovely decorating idea from Southern Lady. Napkin folding is an easy way to add a special touch to any table, and this step-by-step guide takes out all the guesswork. 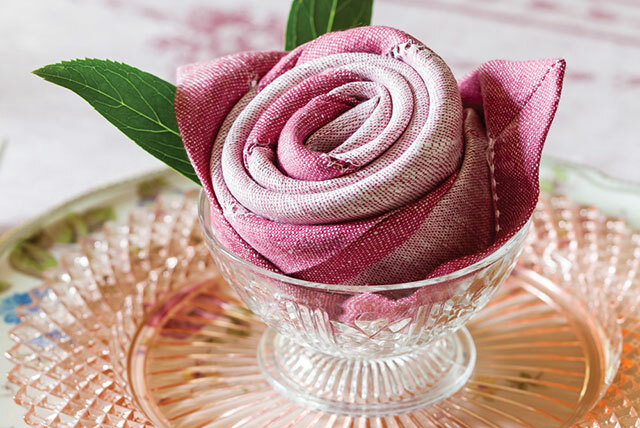 This clever floral fold can be done with any color napkin, but I just love the feminine polish of pink. 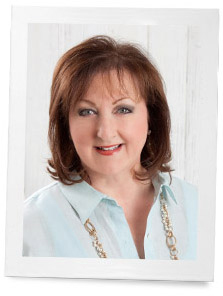 Head over to SouthernLadyMagazine.com to learn to make the napkin rosette with or without leaves, and then feel free share your creations on Facebook or Instagram by tagging @southernladymag. Get the napkin rosette directions here. Do you have any napkin folding ideas you’d like to share? I’d love to hear! This is such a beautiful idea. I always use cloth napkins and table cloths or place mats at home. I fear that we will cease to be a civil society if children eat all their meals from throw-away containers using paper napkins and plastic utensils. I have linen napkins that are many years old (like me) and still look good. Love your blog and your magazines. I absolutely love this one…thank you Phyllis. What a cute idea! Had to try making one and it turned out perfect. Can’t wait to do this the next time I have guests over. Thanks for sharing! I have a FUNdraiser coming up that combines a love of flower gardens, pink trees and cherry tea. What a lovely touch of floral magic! Thanks for sharing, Phyllis. I will be purchasing blush/palest pink napkins because of you . Merci ! I have a small book on the art of napkin folding. I have never seen the rose ! My suggestion … beautiful napkins of quality AND allow time ahead to create your special table setting ! Your guests will thank you . It is the “little things” in life that we remember . Working in the food service (my husband also), we raised our 4 daughter to use cloth napkins when they were young. It helped when we started to take out to dinner, they too enjoy “Shirley Temples”. I still love my napkins after 45+yrs, pass them on also……..